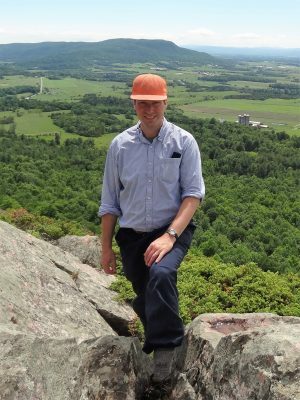 Harris Roen is a Vermont Licensed Forester who manages a diversity of properties for forest land owners. Harris started Long Meadow Resource Management (LMRM) in 1994 for landowners who want to carefully and responsibly manage their woodlots and other land holdings. LMRM manages over 9,000 acres on 50+ parcels throughout northern Vermont. Long Meadow Resource Management serves individuals, families, municipalities and institutions with properties both large and small. Clients range from landowners with only a few backyard acres, to organizations with many large holdings like the Green Mountain Club. Our services include mapping, forest management plans, boundary delineation, wildlife, recreation management, natural community identification and timber sales. Harris holds a Bachelor of Science in Forestry from the University of Vermont, and a Master of Science in Resource Management and Administration from Antioch New England. He has a strong commitment to continuing education in order to stay up with current trends and new knowledge in the world of natural resource management. Recent trainings that Harris has been involved are listed below. Civic engagement in the greater community is important to Harris. He serves as a Planning Commissioner for the City of Burlington, and is Treasurer of Renewable Energy Vermont (REV). His work at REV promotes strategies and legislation to increase responsible use of local biomass as an energy source. Increasing use of this abundant local energy source displaces fossil fuels and promotes carbon sequestration. It also enhances markets for low-quality wood in Vermont. This is important, because the ability to harvest low-quality wood economically gives landowners an important tool for sustainable forest land management in the northeast. Contact LMRM for a free initial consultation to answer any of your land management questions. Licensed to practice forestry by meeting established professional standards for training, education, experience, and competence. Privately owned forest that is third-party certified to be managed to high standards for wood, water, wildlife, and recreation. A professional organization of forest stewards who are passionate about restoring and sustaining the integrity of our forests while meeting the needs of the communities that rely on them. Member. Advocates for the management, sustainability, perpetuation, and enjoyment of forests in Vermont. Member. Consulting Forester for the Green Mountain Club. Member; GMC Stewardship Committee. Committed to reducing reliance on fossil fuels by increasing clean renewable energy, including wood-based biomass. Board member; Treasurer; Executive Committee. Comprehensive land use and development planning; administration of the City’s land development regulations and permitting process. Commissioner; Chair, Long Range Planning Committee. Adapting a micro-stand (1/10 ac) approach developed in Quebec to deal with the impacts of deer browsing and invasive shrubs on achieving competitive forest regeneration. February 2019. Maple Production and Innovation, Maple Business Management, Regulations and Maple, Sugarbush Health and Marketing and Media. January 2019. Showcase the active forest management on the Hinesburg Town Forest, focusing on uneven-aged silviculture, irregular shelterwood method, deer browse management, and demonstrating responsible forest management on public lands. January 2019. Promising studies on breeding resistant ash. October 2018. Loggers of the Northeast: Are They Thriving, Striving, or just Surviving? A study of the economic sustainability of logging businesses in New York. May 2018. Invasives; Hemlock woolly adelgid; Forest tent catepillar; Elm restoration. April 2018. Management of Invasive Phragmites australis. New findings, prospects for eradication, and implications for Vermont. March 2018. A study of tree structure and movement, particularly in response wind forces. March 2018. Updates on Pests and Diseases Affecting White Pine in the Northeast. February 2018. Land Use Planning To Address Forest Fragmentation. January 2018. Helping landowners with decision making and estate planning to meet their long-term land stewardship goals. January 2018. Presented by Dr. Bill Keeton, Professor of Forest Ecology and Forestry at UVM's Rubenstein School of Environment and Natural Resources. December 2017. Graduate level summer field class through the University of Vermont Plant Biology Department. August 2017. Best practices to assist landowners in creating new ag land from forest. May 2017. Sourcing Vermont grown wood for hardwood furniture, bowls, flooring, doors and more. 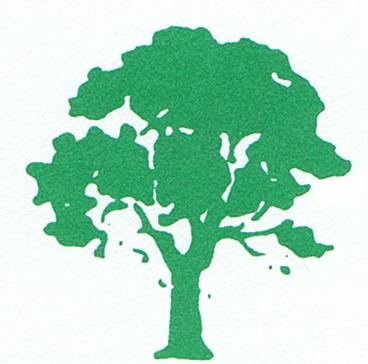 Vermont Wood Manufacturing Association. May 2017. Characteristics of different stand types of beech stands, and what factors contribute to a stand with beech as a major component. February 2017. Required practices for logging operations to protect the quality of Vermont's waters. January 2017. Best management practices for lake protection, stormwater management, wildlife habitat protection and shoreland stabilization. November 2016. Using this powerful, open source mapping program for Vermont forestry. September 2016. Up to date soils information and recent data changes. October 2015.